More nail polish marbleized projects: Marbled Feathers & Marbleized Pumpkins! 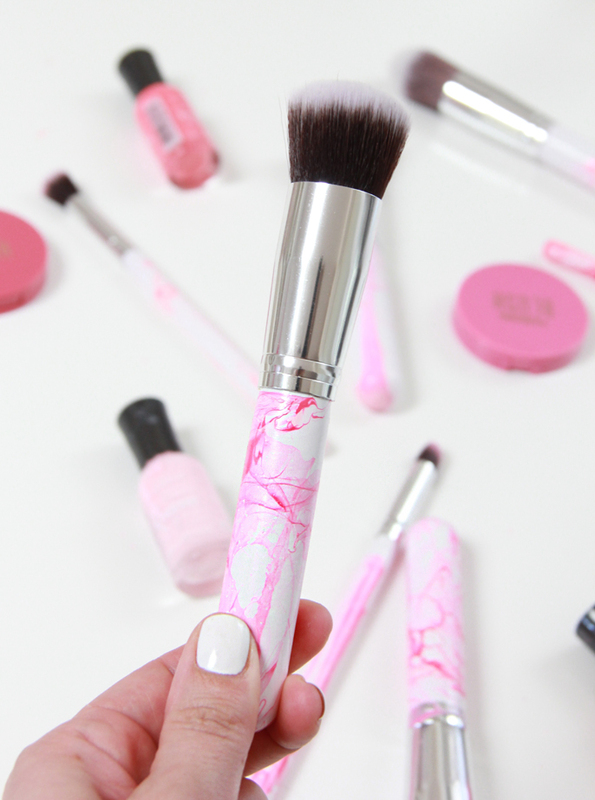 Marbleizing with nail polish may have just become a new favorite DIY method. 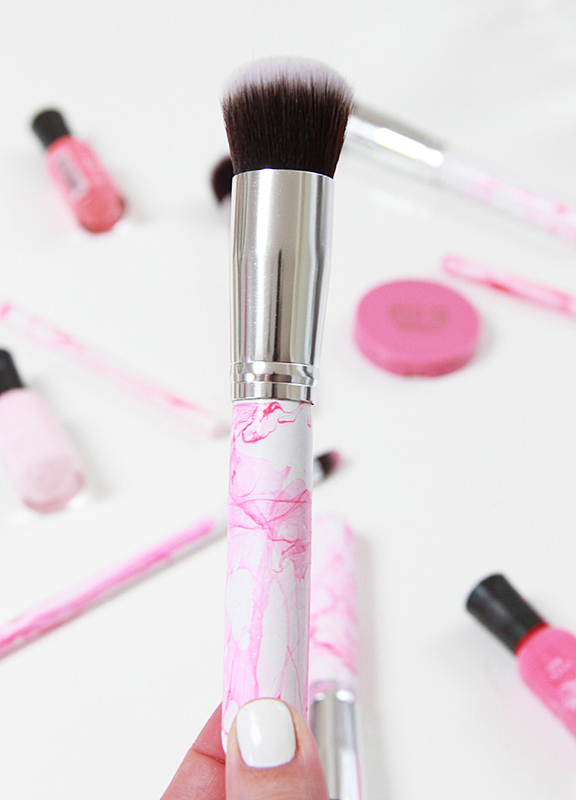 It is gorgeous, easy to do and everyone has nail polish at home, so let’s marbleize all the things together! I used two nail polish colors at a time for this step. 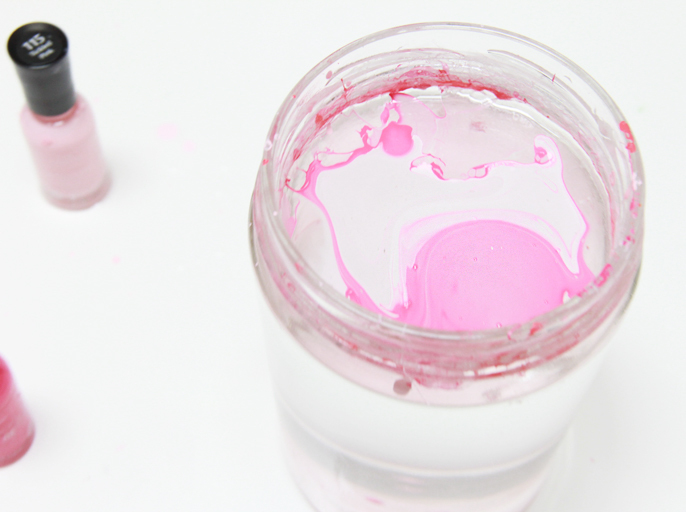 Add some droplets of each nail polish to the water and gently swirl the bowl. 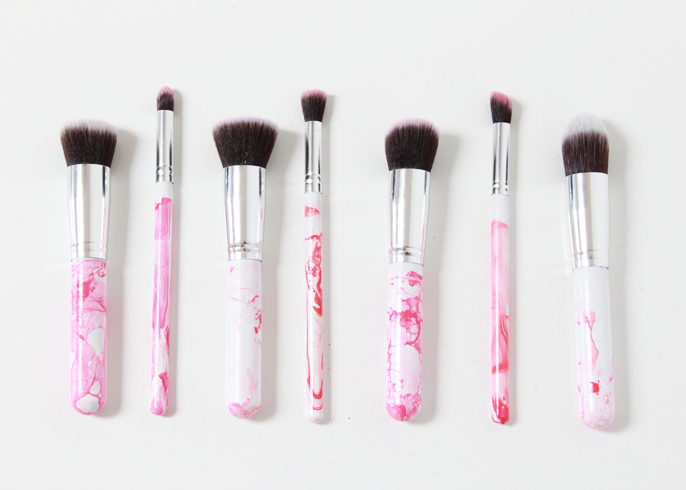 Dip your makeup brush in and turn it gradually while submerged to get the color attached. Do all this relatively FAST. Ironically, I wear very little to no makeup, I have always been just a lip gloss and mascara girl. My daughter, however, LOVES to play with makeup, which is funny because I have never modeled the behavior. 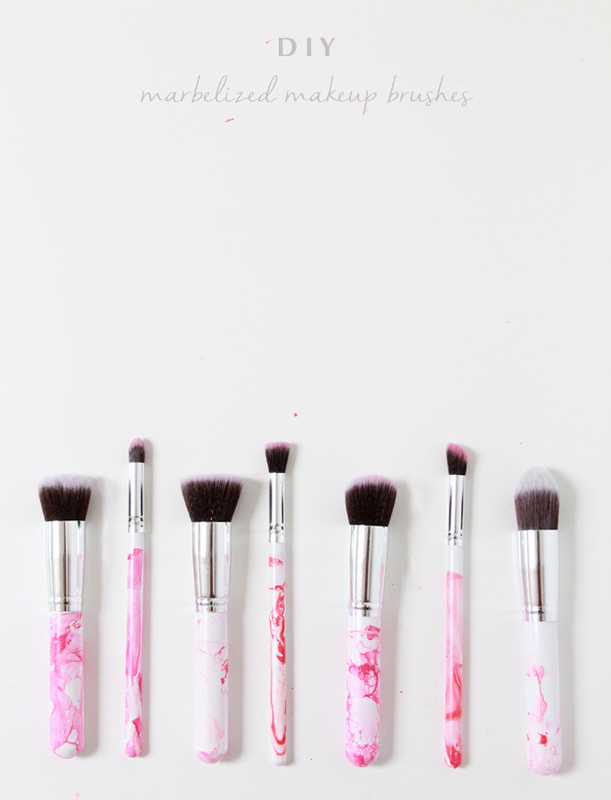 So, these pretty pink brushes are a gift for her and it was a fun crafternoon with Mom.